Namesilo is a young, innovative high-growth technology companies dedicating in cheap and security domain name on the internet, Namesilo provides $8.99(include ICANN fees) .COM registration with free lifetime WHOIS privacy and accredited by ICANN that you can trust. An increasing number of people choose to register their domain names with Namesilo and there are many $1 off discount codes if you search the keyword”Namesilo coupon” – Those $1 code are affiliate codes created by Namesilo Affiliate Program – Earn 10% commission for each referral order. You could receive your affiliate commissions through PayPal or deposited it into your NameSilo account funds. 1. 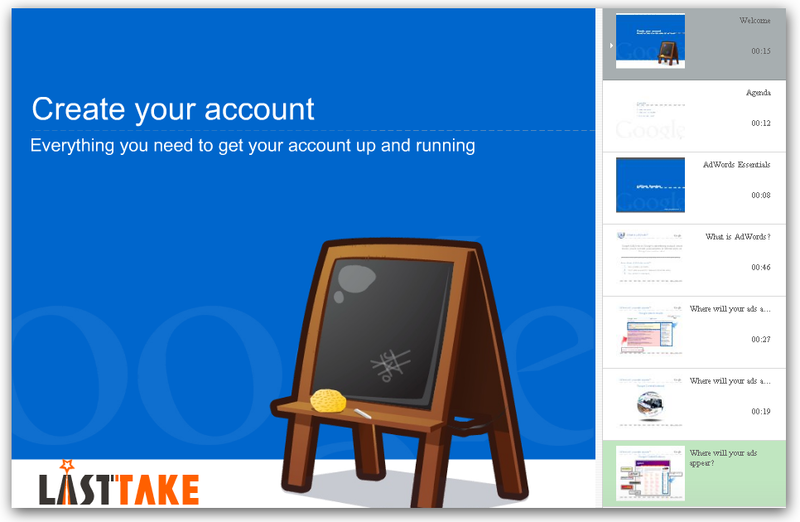 Log in to your Namesilo account or create a new account. 2. Click the “Affiliate Program Manager” link on the right side(Account Options). 3. Accept the affiliate program terms & conditions and click the “submit” menu to sign up. 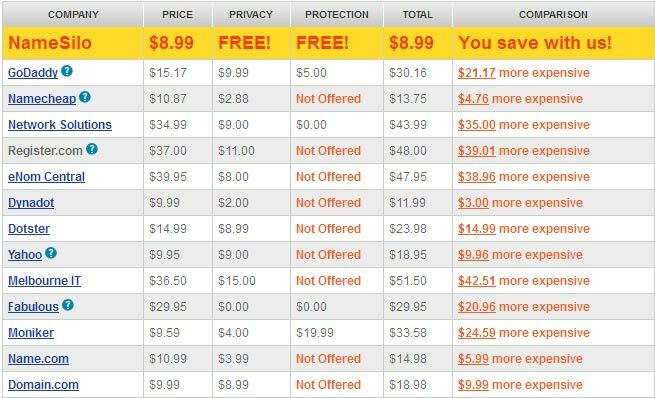 Now, let’s click the “Coupons” menu to create your own Domain Coupons. 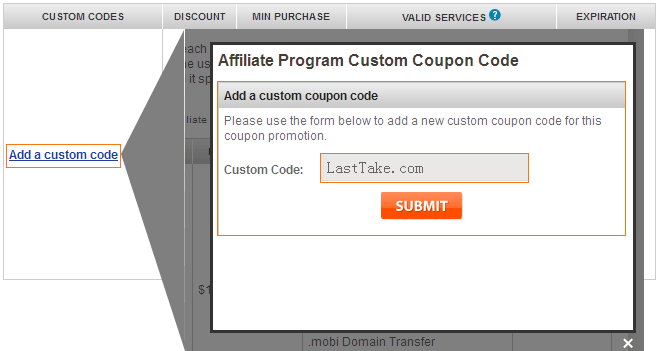 Click “Add a custom coupon code” will open a window on the top of your current page, just type any names you like such as my demo code “LastTake.com” and you have generated your own Namesilo discount code.